When you visit schools it's good to be prepared with a list of questions to ask your tour guide; most guides stick around at the end of the tour and are happy to spend time talking with you. Don't squander your time by asking questions that can easily be answered on the school's website or a Google search. Instead ask questions that will help you get a real feel for the culture, academics, the students, and life on campus. It's an excellent opportunity to find out what you want to know about the school--and from a current student's perspective. Here is a list of 22 sample questions to get you thinking. 1. Why did you choose this college? What other schools did you consider? Are you happy with your choice? 2. What is the average class size in your general studies classes and in your major-specific courses? 3. Do professors or graduate students teach your classes? 4. Does the school have a required core curriculum? Is there a foreign language or a math requirement? 5. What are the most popular majors at your school? When do you have to declare your major? 6. What do you think of the library? Does it stay open late? How easy is it to get access to the books you need? 7. What is the quality of the food service? What are the hours for the dining halls? 8. Are faculty members accessible and supportive? What is the student/faculty interaction? How often do you talk with your professors outside of class? 9. Are there support services available to help ease the transition from high school to college? 10. Is it easy to get involved in campus activities and clubs? 11. Are some dorms better than others? Do all freshmen have to live on campus? Is it easy to trade dorms or switch roommates? Do most upperclassmen choose to live on campus or off? 12. What do students do for fun on the weekend? 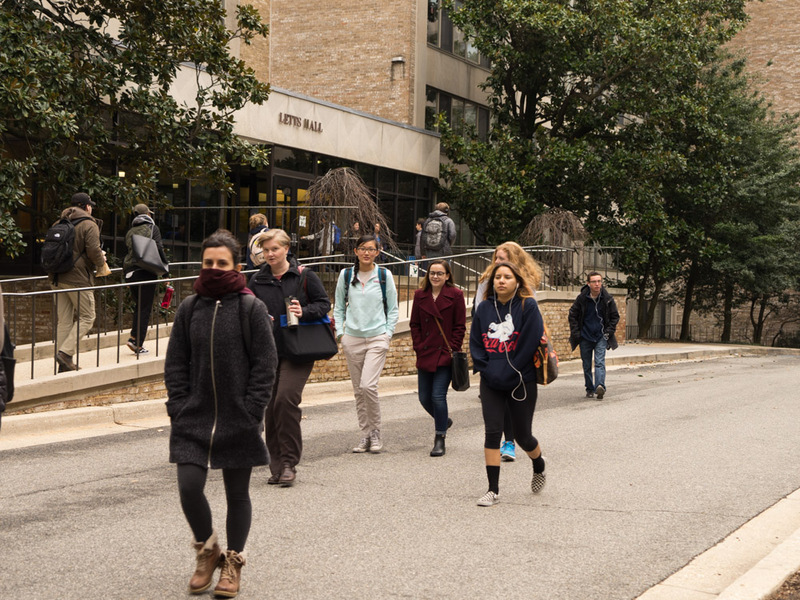 Do most students stay on campus? What are some typical weekend activities? 13. Is Greek life a significant factor on campus? 14. What are some of the campus issues that students have been vocal about this past year? 15. What is the attitude toward working hard? How many hours on average do students spend studying each week? How competitive is the student body? Do students help each other prepare for exams? 16. How easy is it to procure internships or field experiences? 17. Geographically where do most students come from? Have you met many international students? Is the school a diverse community? 18. Do you like and interact with the greater community beyond the campus? What is the local town or city like? 19. What do you like best about your experience and education so far? What do you think is the greatest shortcoming of this college? 20. What kinds of students do you think are happiest here? Which ones are least happy? 21. What percentage of students graduate with job offers? What is the percentage of graduates employed in their field of choice? 22. Is there anything you know now that you wish you had known as a prospective student?